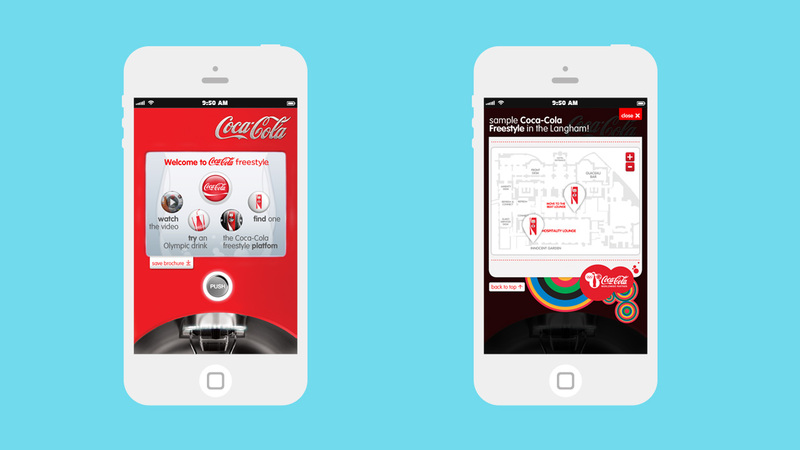 Campaign Mobisites for Coca-Cola Innovations & Freestyle. During the London 2012 Olympics, Coca-Cola wanted to showcase its innovative content and product range to its VIPs. 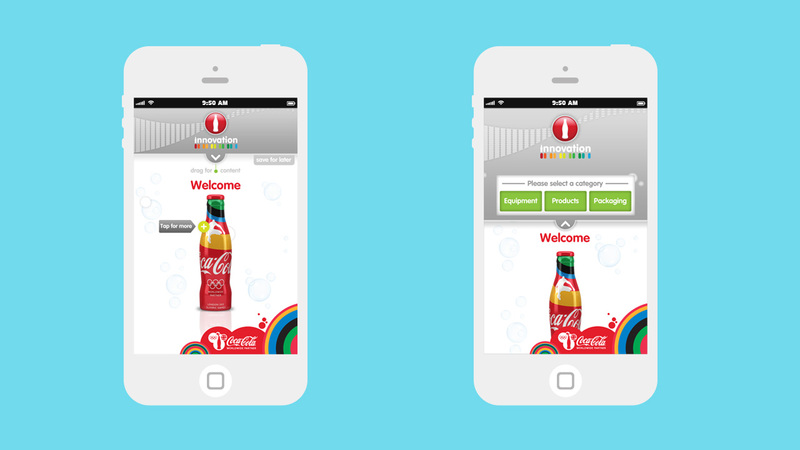 A set of mobile sites was created to highlight in a fun and engaging manner Coca-Cola’s portfolio of products, which was then distributed to guests on pre-loaded mobile phones at its London 2012 headquarters. Our main aim with the mobisites was to create easily accessible content and design in an engaging and interactive format that felt native to mobile. 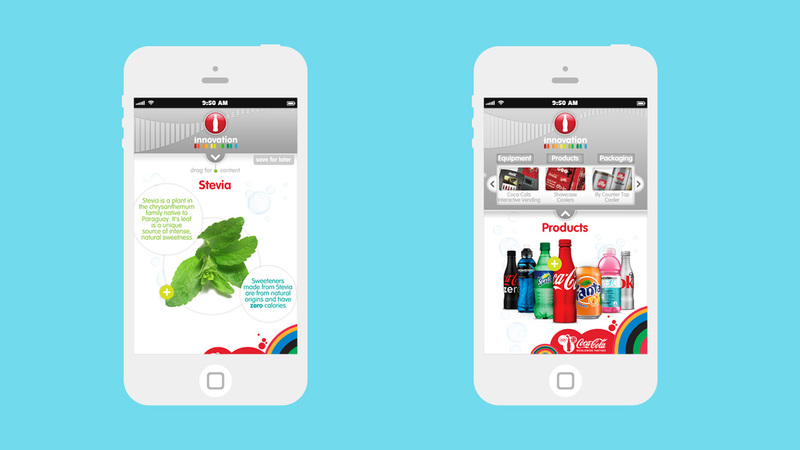 Site navigation and content structures were set up with mobile interaction in mind, allowing users to always be a tap or swipe away from all things Coca-Cola.